In partnership with the Catskill Elks Lodge #1341, we are planning our 3rd Annual Thanksgiving Dinner! 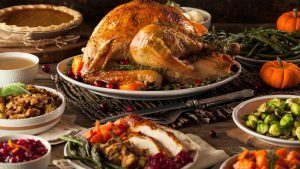 For those who might be alone for the holidays or without resources for a traditional turkey dinner, a 12:00 seating will be held at the Elks Lodge on North Jefferson Ave., in Catskill on Thanksgiving Day. and or delivery. Call 943-9205 for more information or to make your reservation.